In the heart of the Dordogne, this renovated stone house and its annexe enjoy a secluded position with wonderful views over a valley, not far from the department of Correze. In the heart of the Dordogne, this renovated stone house and its annexe enjoy a secluded position with wonderful views over a valley, not far from the department of Correze. It makes an ideal holiday base for two families sharing, and benefits from a private swimming pool and lawned garden. The main house has a well-equipped kitchen, opening on to the terrace, while the annexe offers extra bedrooms and shower room. 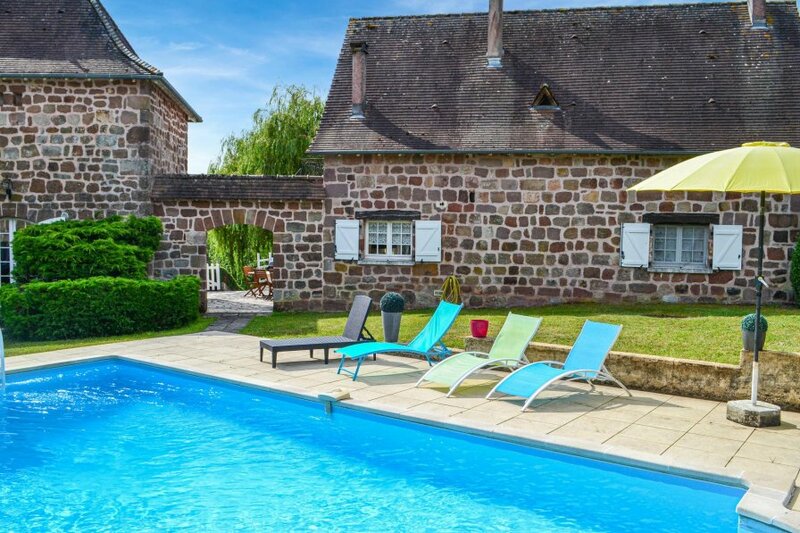 The immediate area has restaurants and shops in Le Lardin, just a short drive away, while the leisure lake at nearby Coly is a good place to relax with its beach and pedaloes. A wealth of fascinating places can be visited nearby, including the beautiful châteaux of Hautefort and Brantôme, and the awe-inspiring caves of Montignac, Lascaux and Les Eyzies. Less than an hour’s drive away is the ancient cathedral city of Périgueux, where little shops in the old quarter are full of gastronomic delights. This villa is made from brick or stone. The agent has rated it as a three star property so it is a well-kept villa, equipped with standard furniture. It is also good value for money. This villa has a private pool and is located in Villac. It is set in a good location: there is a restaurant 8km away.